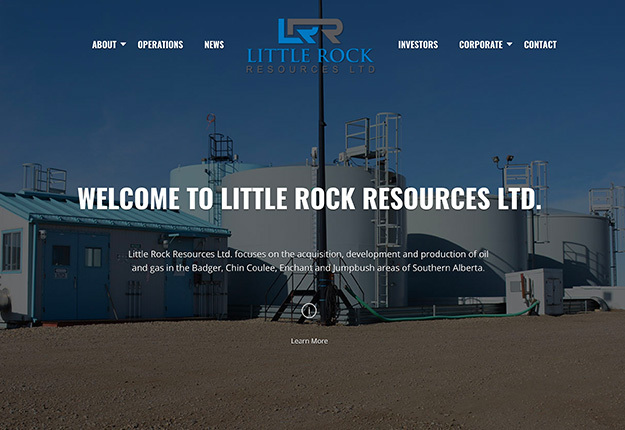 Courtesy of our web development team, Calgary’s Little Rock Resources Ltd. is rocking a new web design. They contacted us looking to create a new website for their company and we are happy to say that their new website is now live. We have developed a custom website design, programming the site so it is fully mobile responsive and easily viewable on all devices in both portrait and landscape modes. The website includes an investors-only area which houses stakeholder and company confidential information that is accessible via a secure login process. 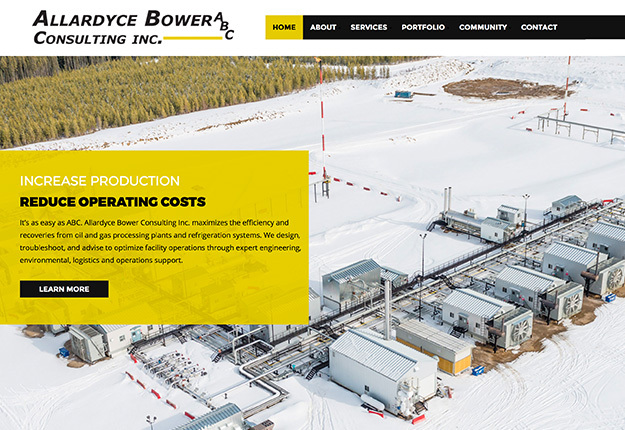 Calgary’s Allardyce Bower Consulting Inc. (ABC Inc.) contacted our web development team looking to revamp and reignite their online presence through a website redesign. We were up to the task and are happy to report that their new web design is now live. Our team created a custom website design that is easy to navigate and mobile responsive. We helped flesh out the website’s verbiage to elaborate on the service offerings provided by ABC Inc. In addition, our team created and developed 3 microsites for their affiliate operations, environmental and Thermocarb Ltd. segments which are accessible via the main website. 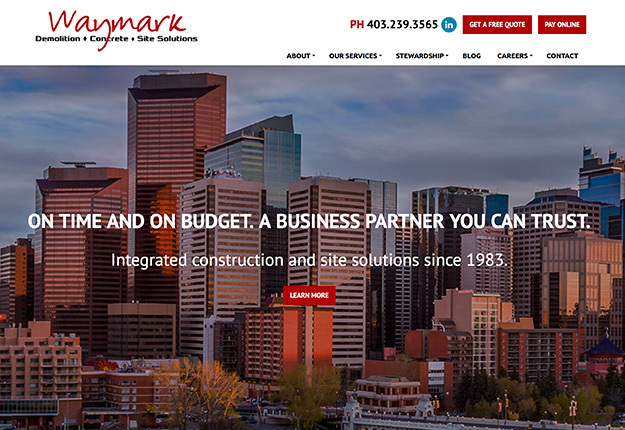 In need of a web design makeover, the team at Calgary’s Waymark Group contacted us. We were happy to help and their brand new website design is now live. Our team created a custom website design that is mobile responsive and features their many offerings as a construction and site solution company servicing Calgary and its surrounding communities. We have incorporated their special events and abatement services on the website in addition, to creating a pay online component that allows Waymark’s clients to securely pay their invoices online. 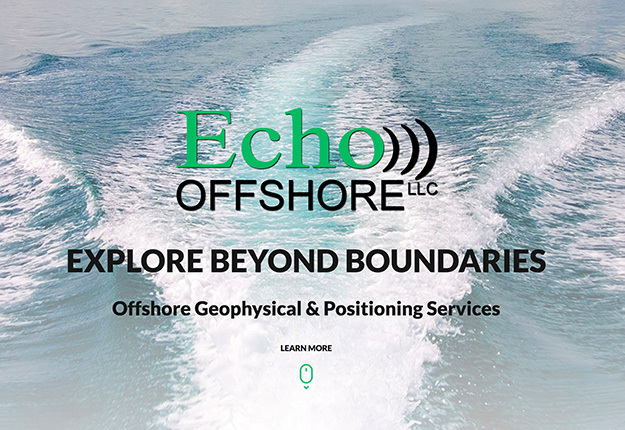 Looking to launch a new website to promote their offshore geophysical and construction services online, Echo Offshore LLC contacted our web development team. The new web design is now live. Our team created a one-page mobile responsive web design that showcases and highlights Echo Offshore’s offerings. Our programmers built a custom component that features the details of their services when users scroll over the respective core service. 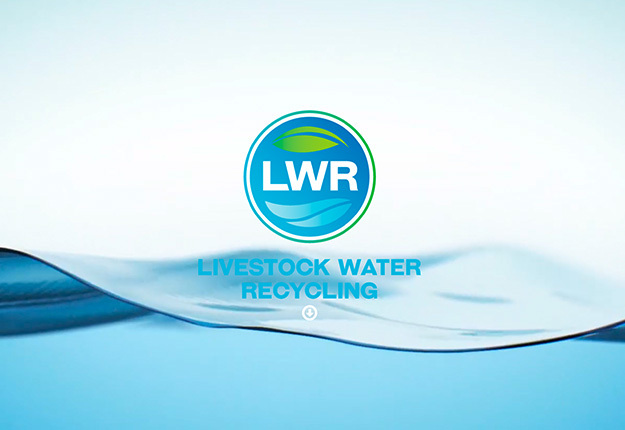 Livestock Water Recycling (LWR) contacted our web development team looking to get a fresh new web design. We are stoked to announce that their new website is now live. Our brilliant team of graphic designers and programmers have created a custom web design that is mobile responsive and scales to size on all devices in both portrait and landscape modes. The user-friendly website showcases LWR’s manure treatment technology and includes an interactive map of installations completed successfully by the LWR team. 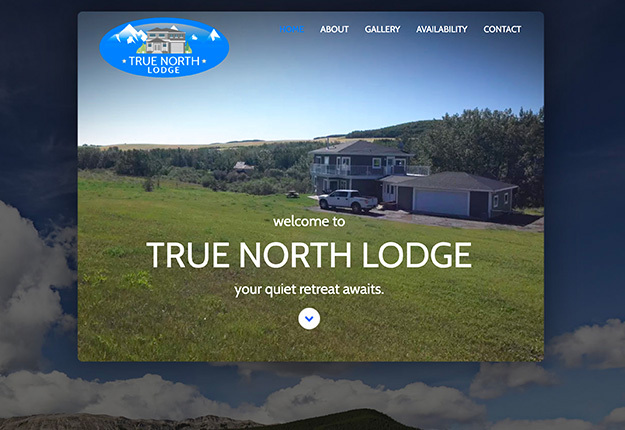 Looking to get online with a new web design to promote their rental property that is located just outside Calgary city limits, True North Lodge got in contact with our team. We are happy to say that the new website is now live. Our web development team has created a mobile responsive web design that features the property’s many offerings. The easy to navigate site structure allows web visitors to read about the lodge’s many amenities and view a photo gallery of the home. Those looking to book the spacious SW Calgary acreage can do so via Airbnb. 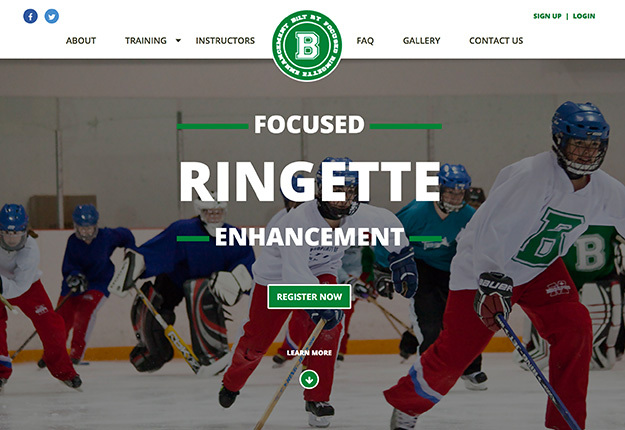 Calgary’s BiLt RT contacted our team looking to add greater functionality to the backend of their website, while also wanting a fresh new web design for the front end. We were up to the task and are happy to announce that their new and improved website is now live. Our brilliant web programmers custom-built a system that allows athletes to register online for various training programs. There is a full calendar view and simple cart system that lets parents and athletes buy credits ahead of time for use towards enrollment in the various programs offered by BiLt RT. The front-end redesign features an easy to navigate layout that is mobile responsive and viewable on all devices. 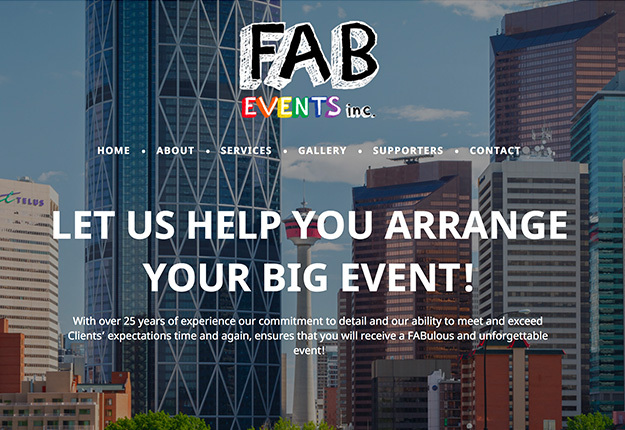 A Fab New Web Design for Calgary’s FAB Events Inc. Looking to get online to showcase their offerings via the web, Calgary’s Fab Events Inc. contacted our web development team. We are happy to announce that their new web design is now live. We have created a custom website for the event coordination company that is viewable on all devices given that the web design is mobile responsive. The site highlights FAB’s expertise in creating a customized and comprehensive event plan and executing such to make for awesome events. 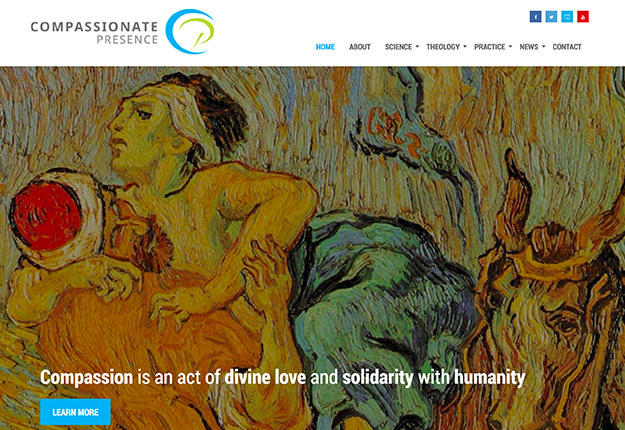 Dr. Rolf Nolasco contacted our web development team looking to get a website created to help promote his recently published book, Compassionate Presence: A Radical Response to Human Suffering. We were all for helping him bring to fruition his vision for a new web design and are proud to say that the new website is now live. Our team has produced a custom web design that is easy to navigate and features a login area where web visitors can access guided meditations to cultivate and extend compassion within their own lives. The website is fully responsive and scales to size on all devices in both portrait and landscape viewing modes. 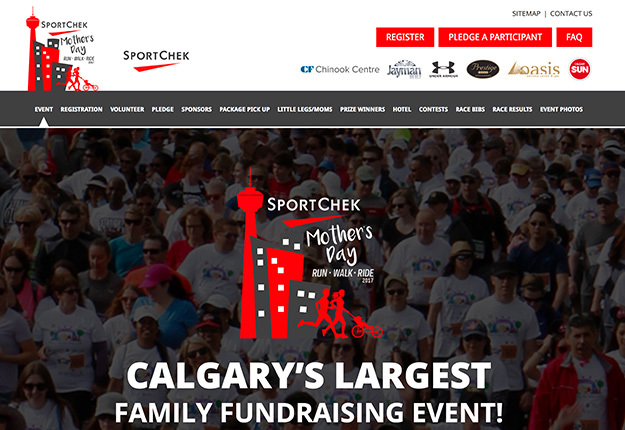 Looking to give their web design a makeover, organizers for the annual Sport Chek Mother’s Day Run, Walk & Ride event in Calgary contacted our web development team. We are happy to announce that the new web design is up and running. We’ve created a custom website design that is easy to navigate and is mobile responsive such that web visitors can easily view the site on a desktop, smartphone or tablet. Event registration as a participant or as a volunteer can also be completed online. In addition, those wanting to donate pledges to participants can do so on the website and tax receipts for donations over $20 will be sent out accordingly. Happy 2017! 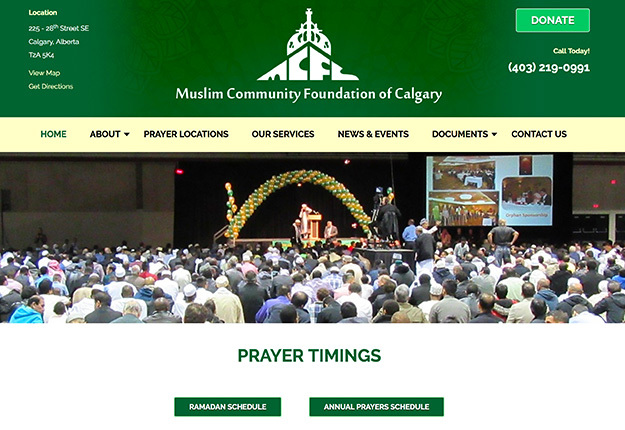 We’re kicking off the new year with a new web design launch for the Muslim Community Foundation of Calgary. Our team has developed a custom web design that showcases the services and programs provided by the non-profit organization. The web design is mobile responsive and integrates with their PayPal account so web visitors can make donations online to the charitable organization which serves the needs of Muslims living in SE and NE Calgary.